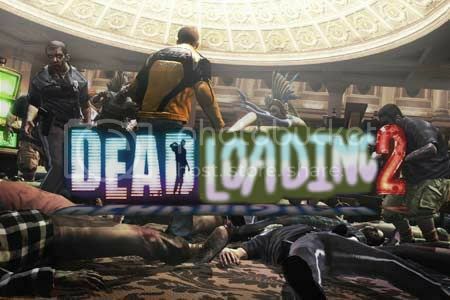 Alright, so first off we have Dead Rising 2. This game was… well, it was boring for me. Just so you know, it loads… a lot. Now, if you love zombies, you’ll love the game. Probably. It’s what the game is about, after all. The overall mannerisms are well done, the crazy bosses/mini-bosses are interesting, and the weapons are as ridiculous as ever. Sounds good, right? Well, it probably is for some… but to me, the gameplay was too slow paced, the weapons were too powerful, the missions were repetitive, and the game just didn’t grab me at all. Plus, the loading made me want to turn the game off. Feeling the need to kill hordes of zombies? Then this is your game; but with the amount of zombie games out there now… I don’t see this being the most pertinent desire. After all, the current video game rule is “when in doubt, add zombies.” If you’re going to make a zombie game, make it different… like this. Oh, and did I mention the loading? In any case, this game garners a ACQUIRE. I was looking forward to this game for… well, a couple years now. Once it was announced that Hideo Kojima was working on a Castlevania game, I was stoked. Then I saw footage, and I wanted it right then and there. Then I played it, and… well, it was good, but… Alright, if you’re looking for the traditional Castlevania experience, it isn’t here. There just seems to be a certain aspect that can’t translate from 2D to 3D, and this game makes no exception. 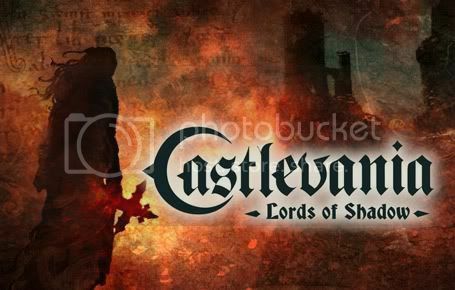 If you’ve never played the series, you’ll think of it as another Devil May Cry, God of War, Dante’s Inferno, etc… if you have, you’ll see it as one of the above games with some tried and true elements of the Castlevania history, and the best 3D presentation of the series. Is it one of the must play games of the year? Ehhh… It’s better than a lot, sure… but… There’s also a lot more out there you can be playing. A few things that I didn’t get a chance to really delve into beyond the story of the game were the challenges that each level contained. Those actually do add a lot to the re-playability of the game, as well as set it apart from some of the other games like it. If you want the full experience from this game, it’ll take a while to do. But for the majority of people, I think the game is worth a RENT. Alright, back to the series that kind of pioneered the whole “war game” thing for the consoles. Frontline was the first MoH I ever played years ago on the PS2, and at the time I thought it was… decent (playing it after this I laughed at how bad it was). I was never too enamored with these types of games (MoH, CoD, etc), mainly because they were always the same and… well, boring. Modern Warfare was the first type of game in this field that I really enjoyed… a lot. And sadly, it was the last that really held my attention as much as it did. Modern Warfare 2 took what 1 did well, and just reused it… over, and over, and over… The special feeling you got from the original was now thrown in front of you like a girl being raped. It lost its appeal. 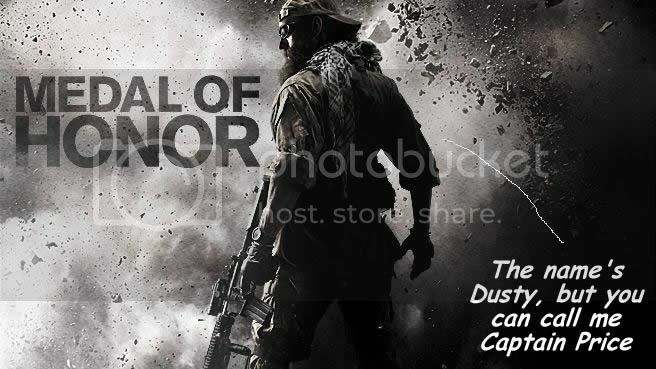 So does Medal of Honor improve upon it? No. If you hadn’t told me it wasn’t Call of Duty, I wouldn’t have been able to differentiate between the two. It’s just more of the same… You have your slow motion infiltration, your “emotional scenes,” stealth missions (my favorite in all of these games) with a guide (also includes sniper missions), and your run and gun stuff. The only real difference was that when I beat it, it didn’t feel like I beat it. There wasn’t really any conclusion… Which, I suppose, is true of the current war. It’s an on going event, and one which this game was more or less based on. The multiplayer was fun enough, though very limited to what you could do. I don’t even recall playing some of the maps in the single player, though that isn’t a bad thing. Unless you are die-hard of FPS online, this is a RENT. Shinji Mikami’s newest game from Platinum Games, which is his take on Western shooters. Is it good? You better believe it. Game had me hooked from the get go with it’s stunning visuals (hell, they’re better than FFXIII in my opinion) and tight controls. You know, the cut-scenes in the game are practically worth it alone. Is it much of anything new? Well, not really. Aside from moving like a smooth criminal, you take cover, shoot, and upgrade your weapons. There are secrets to find, and missions to do after beating the game… which, shouldn’t take too long. It took me 3.5 hours to beat it… huh? Oh, 3.5 hours? Sad. Yeah, this game is amazing. Yes, you should play it. But unless you have the money to spend, this is not something to buy for sixty dollars. Unless of course you are a proud supporter of Platinum Games (of Bayonetta and Madworld fame, formerly Clover Studios which made Viewtiful Joe, Okami, God Hand) or Shinji Mikami (Resident Evil, formerly mentioned God Hand, P.N. 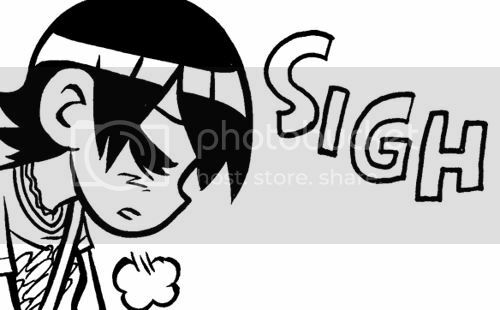 03 – look familiar? )… I’d say if you like 3rd person shooters, especially high octane ones… Must play. However, due to length… Rent. easily be done in a rental… The last two in a day – you know, you could even beat the last two in the same day. So what do you think of this? Should I continue with this? Stick to talking about them on the podcast? Write individual reviews (which would cut down on what I review)? My next batch of games is… well, not sure yet… Currently I’m playing a game that involves a super hero’s split personalities, so look forward to a review on that soon. Zombies have become the crutch of every kind of media, unfortunately. 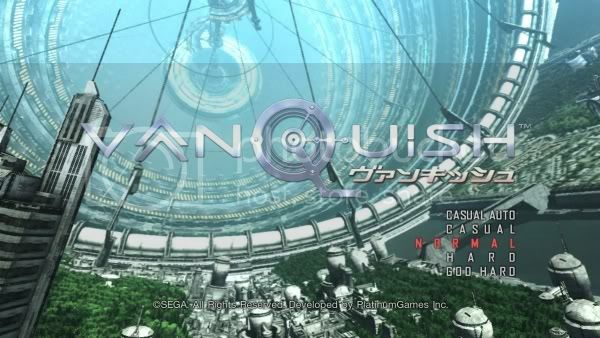 And at just under $20/hr Vanquish isn't the worst way to spend money… but I'm disappointed to hear it's so very limited. With the number of games out and on the way, I think a digest review is pretty handy.